Natural bamboo with cloth together crafted into a beautiful box.The fine blend of art and technique .. The stem is golden, hence the name golden grass. 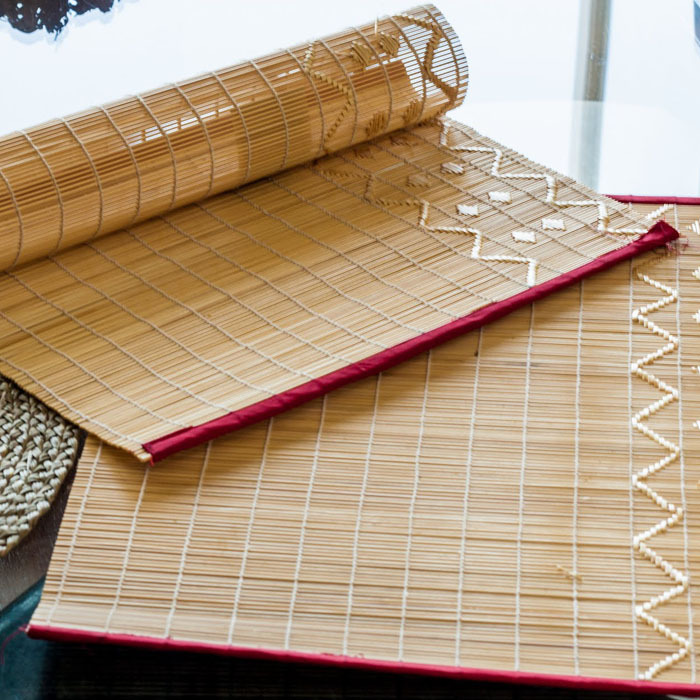 They are hand woven to give shape to the beatiful articles. They are light,durable and foldable. Intricately woven with silk border.